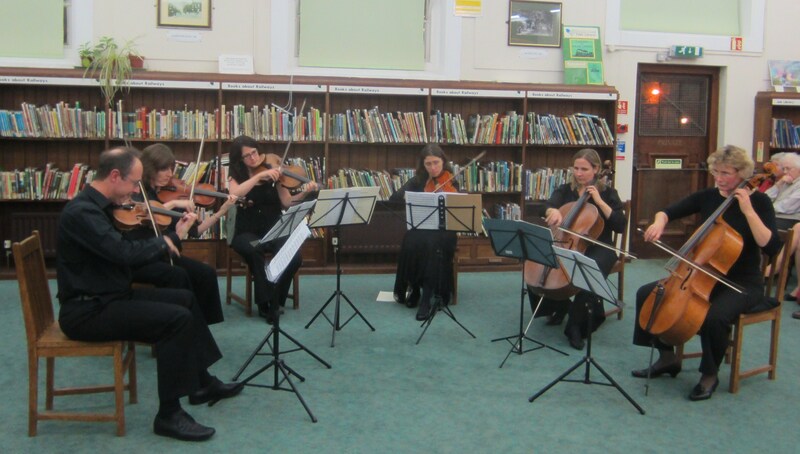 Another delightful Swansong concert took place on Wednesday 23rd November at Acocks Green Library. The 2011 season was brought to a pleasant close by a fine performance from the CBSO players, with string compositions from Arensky, Haydn and Rimsky Korsakov. Arensky. A Quartet The Joke by Haydn. and a Rimsky Korsakov Sextet. We are fortunate to have had the opportunity to experience similar standards of performance in our area over recent years and Mike Byrne reported that the ‘Swansong’ Concerts will continue in the New Year, but with a slight reduction in the number of performances. He further thanked all the folk who have given their good support over this time, which has allowed these concerts to be organised. Also the Arts and Media events will continue in the New Year at the library on January 11th at 2pm with a presentation from Susan Hunston, on the subject of our real thoughts called Reading between the Lines. For more information call in at the library for tickets. This entry was posted in Events and tagged Acocks Green Library, Arensky, Arts & Media, CBSO Players, Classical Music, Haydn, Mike Byrne, Miriam Guillaume, Rimsky Korsakov, Swansong. Bookmark the permalink. Thanks for the report – these events always sound great. Hope not too cheeky, but any chance of a pre-event posting to remind some of the more disorganised members of our community … ? Yes the concerts are always enjoyable and much thanks goes to Mike Byrne for oganising them. We do try and keep the What’s On Page up to date and usually list Swansong concerts there. As soon as we know the next one I will put it on that page.